Gravity is the familiar force of nature responsible for the diverse motions of a baseball thrown high into the air, a planet orbiting a star, or a star orbiting within a galaxy. Astronomers have long observed such motions and deduced the amount of gravity, and therefore the amount of matter, present in the planet, star, or galaxy. When taken to the extreme, gravity can also create some intriguing visual effects that are well suited to Hubble’s high-resolution observations. Einstein’s general theory of relativity expresses how very large mass concentrations distort the space around them. Light passing through that distorted space is re-directed, and can produce a variety of interesting imagery. The bending of light by gravity is similar to the bending of light by a glass lens, hence we call this effect “gravitational lensing”. An “Einstein Cross” gravitational lens. The simplest type of gravitational lensing is called “point source” lensing. There is a single concentration of matter at the center, such as the dense core of a galaxy. The light of a distant galaxy is re-directed around this core, often producing multiple images of the background galaxy (see the image above for an example). When the lensing approaches perfect symmetry, a complete or almost complete circle of light is produced, called an “Einstein ring”. Hubble observations have helped to greatly increase the number of Einstein rings known to astronomers. More complex gravitational lensing arises in observations of massive clusters of galaxies. While the distribution of matter in a galaxy cluster generally does have a center, it is never perfectly circularly symmetric and is usually significantly lumpy. Background galaxies are lensed by the cluster with their images often appearing as short thin “lensed arcs” around the outskirts of the cluster. Hubble’s images of galaxy clusters, such as Abell 2218 (above) and Abell 1689, showed the large number and detailed distribution of these lensed images throughout massive galaxy clusters. These lensed images also act as probes of the matter distribution in the galaxy cluster. Astronomers can measure the motions of the galaxies within a cluster to determine the total amount of matter in the cluster. The result indicates that the most of the matter in a galaxy cluster is not in the visible galaxies, does not emit light, and is thus called “dark matter”. The distribution of lensed images reflects the distribution of all matter, both visible and dark. Hence, Hubble’s images of gravitational lensing have been used to create maps of dark matter in galaxy clusters. In turn, a map of the matter in a galaxy cluster helps provide better understanding and analysis of the gravitational lensed images. A model of the matter distribution can help identify multiple images of the same galaxy or be used to predict where the most distant galaxies are likely to appear in a galaxy cluster image. Astronomers work back and forth between the gravitational lenses and the cluster matter distribution to improve our understanding of both. Three lensed images of a distant galaxy seen through a cluster of galaxies. On top of it all, gravitational lenses extend Hubble’s view deeper into the universe. Very distant galaxies are very faint. Gravitational lensing not only distorts the image of a background galaxy, it can also amplify its light. Looking through a lensing galaxy cluster, Hubble can see fainter and more distant galaxies than otherwise possible. 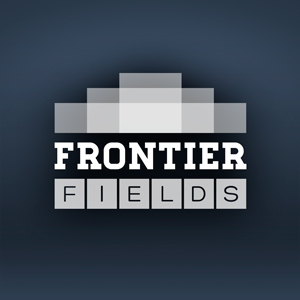 The Frontier Fields project has examined multiple galaxy clusters, measured their lensing and matter distribution, and identified a collection of these most distant galaxies. While the effects of normal gravity are measurable in the motions of objects, the effects of extreme gravity are visible in images of gravitational lensing. The diverse lensed images of crosses, rings, arcs, and more are both intriguing and informative. Gravitational lensing probes the distribution of matter in galaxies and clusters of galaxies, as well as enables observations of the distant universe. Hubble’s data will also provide a basis and guide for the future James Webb Space Telescope, whose infrared observations will push yet farther into the cosmos. A “smiley face” gravitational lens in a galaxy cluster. The distorted imagery of gravitational lensing often is likened to the distorted reflections of funhouse mirrors, but don’t take that comparison too far. Hubble’s images of gravitational lensing provide a wide range of serious science. The Hubble Channel on YouTube just had a Hubble Hangout on this exact thing with all of the team at STSciI and the original spotter. I’m am curious about space/time. Since you have the four fundamental forces. Strong nuclear, weak nuclear, electromagnetism and gravity. Does the Universe need time in order to exist?